CCGD's six choruses feature 450+ singers, selected by audition, in grades 4-12 drawn from 53 communities throughout the metroplex. 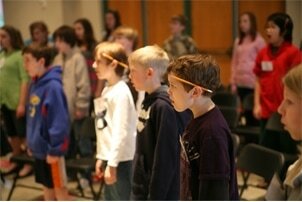 All choruses rehearse on Monday evenings during the school year at Lovers Lane United Methodist Church, 9200 Inwood Road. ​All CCGD choruses perform several concerts each season, including three at the Morton H. Meyerson Symphony Center as part of the Deloitte Concert Series. Tuition ranges from $420-695 for the entire year. Tuition assistance is available for families with financial need. CCGD's Neighborhood Program aims to extend high-quality music education opportunities to low-income and minority students. 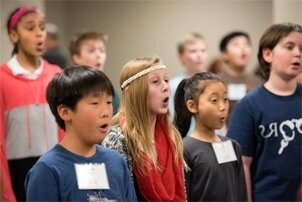 Led by Julie Funston, CCGD's two Neighborhood Choruses feature 51 students in grades 4-5 at West Dallas Community School. 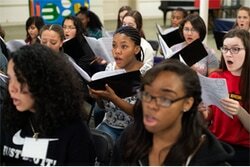 Each chorus rehearses for an hour each week during the school day and presents several in-school performances each season. 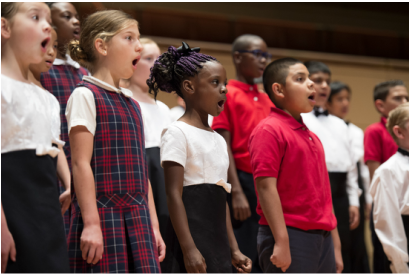 In addition, CCGD's Neighborhood Choruses perform alongside the CCGD Choruses at one concert at the Morton H. Meyerson Symphony Center each season. 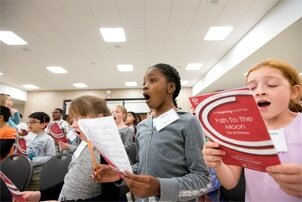 ​Designed to introduce children in grades 3–5 to the choral arts, CCGD's Outreach Program brings a free 30-minute educational performance by members of Concert I Chorus directly into schools throughout the Dallas metroplex, reaching approximately 2,500 young people each year. 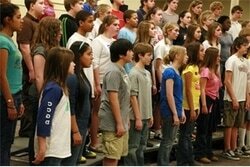 If your school would like to host a performance, please contact CCGD Executive Director Megan Heber via e-mail. Please see the teacher's guide below to get an idea of the topics covered by this concert.